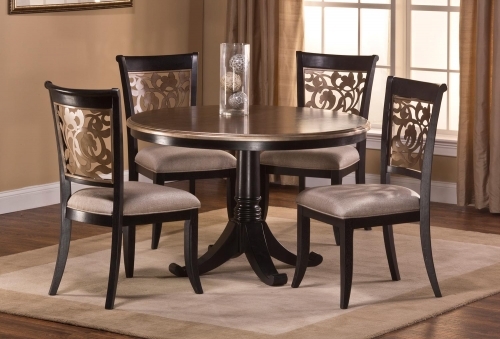 On-trend metallics meet traditional dining styles in the Bennington Dining Collection. 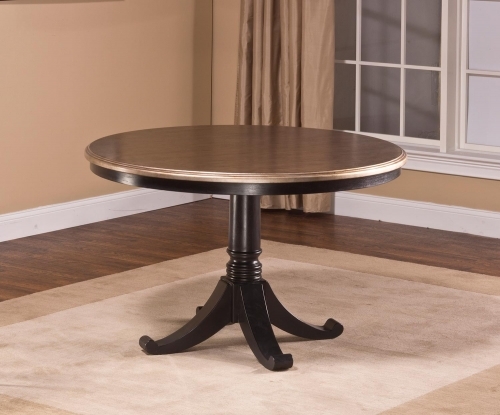 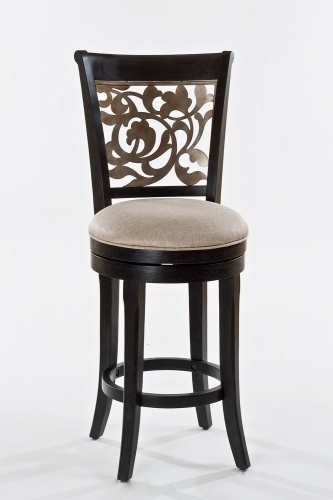 Featuring at its center a round table with an elegantly butterflied base with a black distressed gray finish topped with a gold metallic-finished wood veneer, the Collection is a show-stopper sure to get looks. 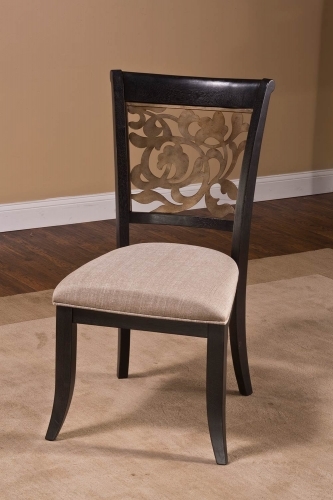 The table is matched by the Bennington Chair which includes a matching gold metallic silver overlay in a flowering vine pattern.